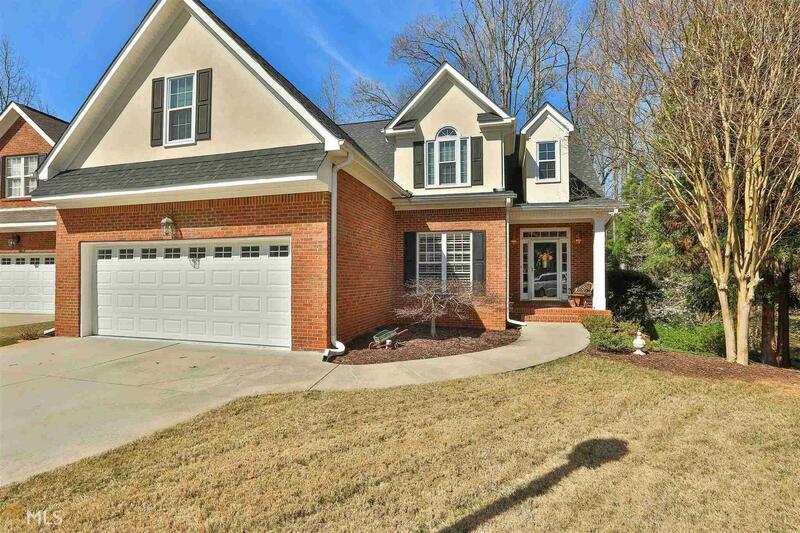 Gorgeous 4 sided brick w/master on main & finished basement. Upgrades galore!Hardwoods thru out main,new hardwood stairs, & hallway & iron spindles up Master suite on main,bath w/tile & marble shower w/ frameless door, new counters,mirrors , fixtures, pocket door & walk in closet. Walks out onto glassed in sun porch.Large dining rm, gorgeous kit has new granite & backsplash, tons of cabinets and builtin&apos;s over look vaulted fam rm that also walks out to porch & deck. 3 more large bedrm&apos;s up, 2 full baths. All rooms have huge walk in closets, 1 bath has cedar closet. Plantation shutters. Finished basement w/ full bath, fam rm,tons of storage,foam insulation,waterproofing,heat pump, rheem water heater. New roof & all new trane HVAC. Private back yard! Directions: From Peachtree City Take Peachtree Parkway South. Turn Right On Robinson Rd. Ashton Park Will Be On The Left. Left Turn Onto Ashton Park 115 In Cul De Sac.